What Planet is Tony Heller On? 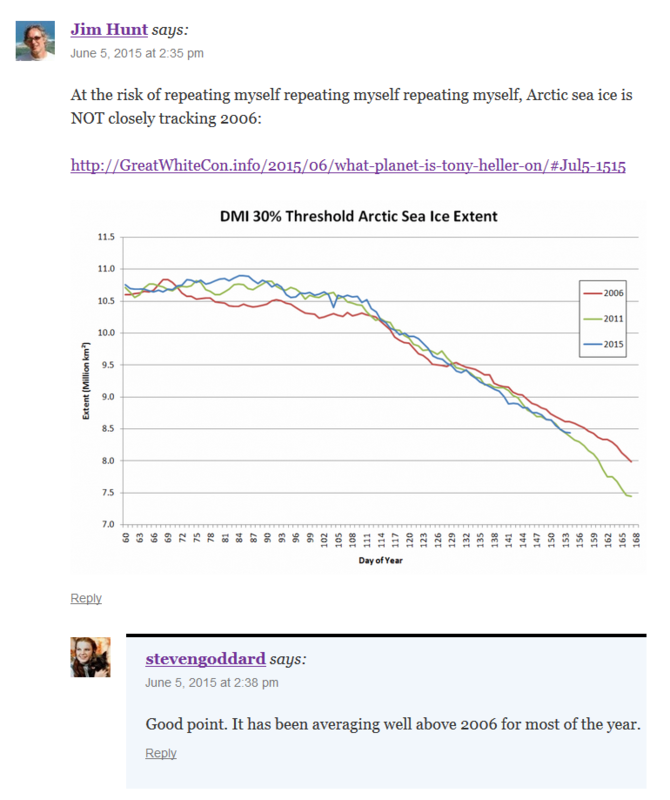 From five years ago, the Arctic was doomed and I was a denier. 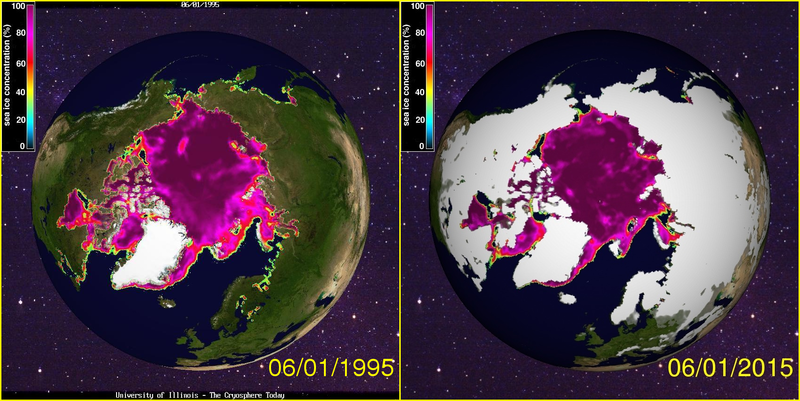 And five years later, the ice is still almost exactly the same as twenty years ago. Someone with an IQ over 30 might be able to figure it out, but not climate alarmists. The shiny white area in the 2015 image is also of course a long way from the current reality. 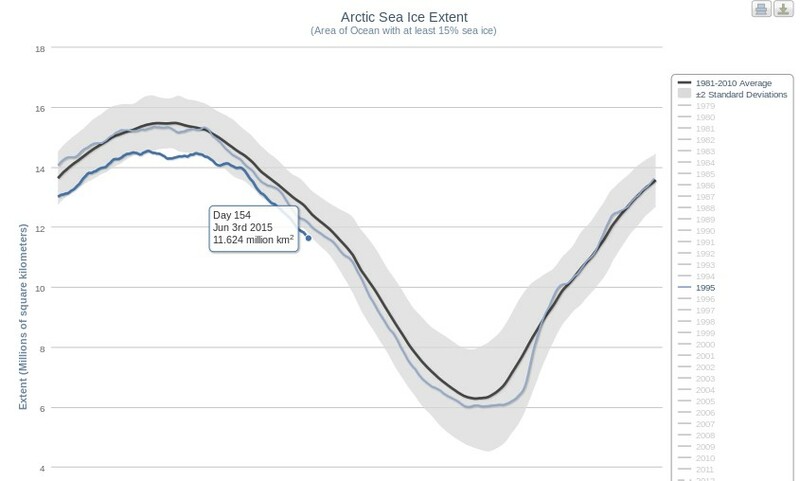 Arctic sea ice is closely tracking 2006, the summer with the highest minimum of the past decade. It is my duty to report what actually is happening, even if it isn’t what I expect. I sure do wish Mr. Hunt would learn to do the same. Why on earth he would want to tell us ice was melting when it seemed obvious it was refreezing is beyond me. Does he have some deep need to humiliate himself, like a medieval person undergoing self-flagellation? It will be exciting to see how this year’s minimum turns out to be just as high as that of 1995. 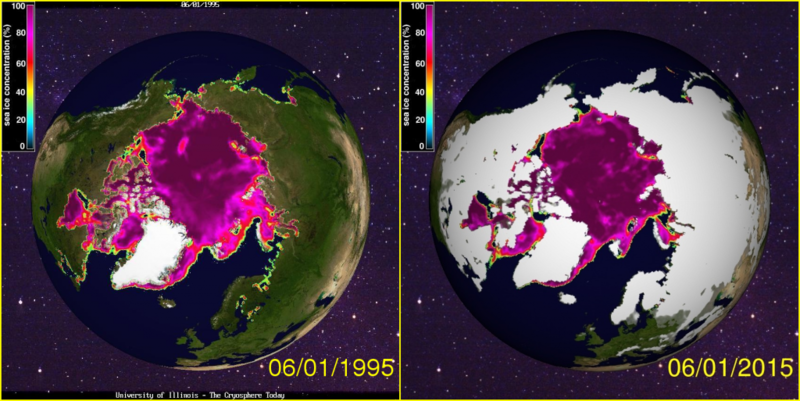 If I were on the fence, I would say that the two global images look about 98% the same and blowing up the teensy-weensy bit that is Chukchi is cherry-picking. (Hudson would be another cherry.) And that for ‘significantly higher’, 2015 wins about 3-2 over 2006. 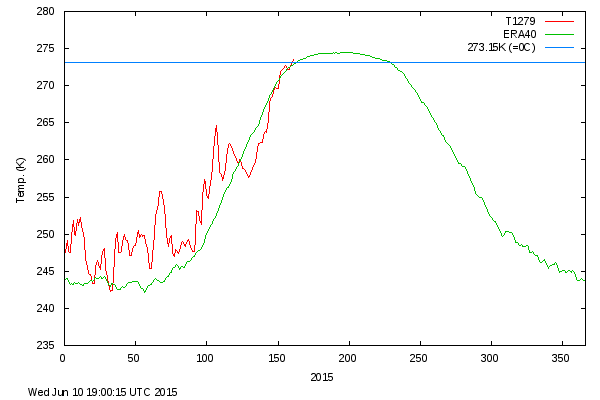 2015 has the lead in melting now, but will it stay the course? You’re right and he’s wrong about AGW, but on these two points I don’t find your case as convincing as you think. Treesong – How many “cherries” might make a convincing case to the uninitiated do you suppose? We’re up to 5 so far. Would you like to see four more animations? There’s also a number of extent metrics that have been at “lowest ever” numbers for the date for an extended period of time. The key point here is actually the time of the cherrypick. 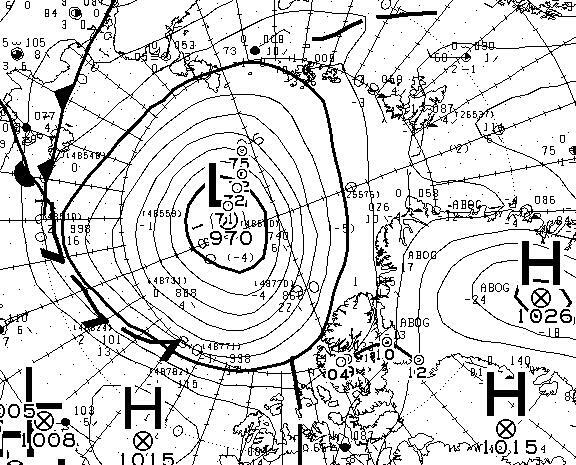 This is the period when we are transiting seasons and when the ice “appears” to be closest to the same. Fast forward to mid September and make a comparison of the two years then on the same date and it will be markedly different. The trend over that time is unequivocal. There is also no mention of the age or thickness of the ice just its extent. 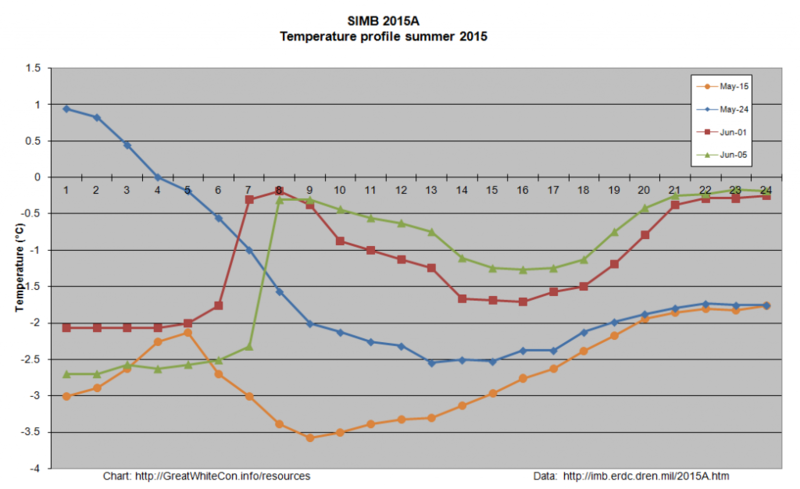 We are not even halfway into the melting season and at a point where the variation is at its lowest. In addition this is a strong El Nino year, so we are also likely to see another hottest year on record set and a if regional weather conditions feel that impact, a reasonable chance that a record could be broken this year or next. 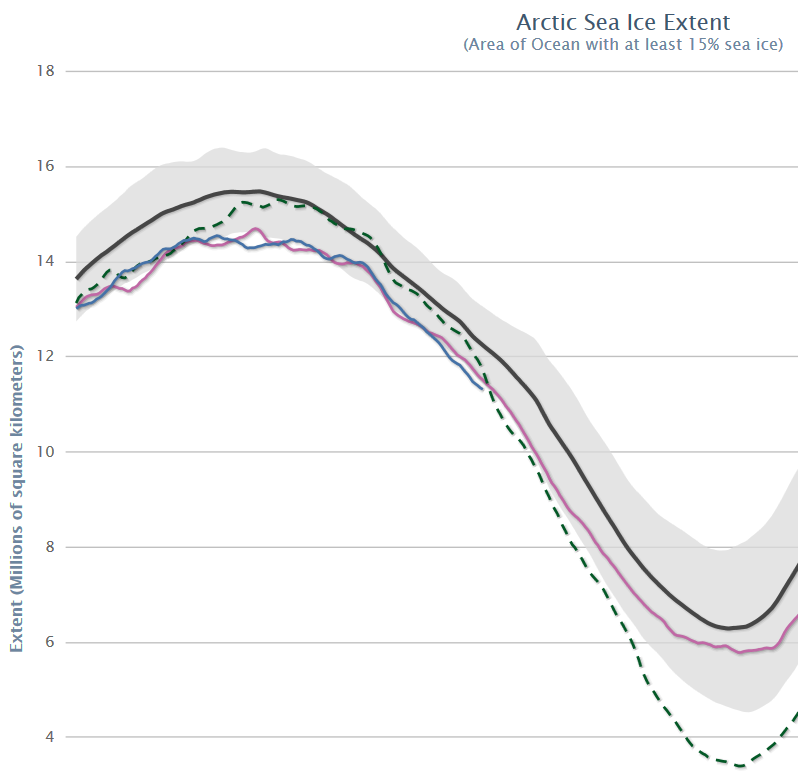 A key point here is that at June 1, most of the years since then had a greater ice extent than 2006 BUT every one of those years had lost more ice than 2006 by September. Spend a bit of time with this interactive graph and you will see what I mean. The June 1 comparison is desperate and lame straw clutching. I should have included that link with my 1:14 PM comment above, but my tongue was too firmly in my cheek at the time. Just in case it’s not obvious, I agree with you about the “straw clutching”! the point about strong el nino year is incorrect. 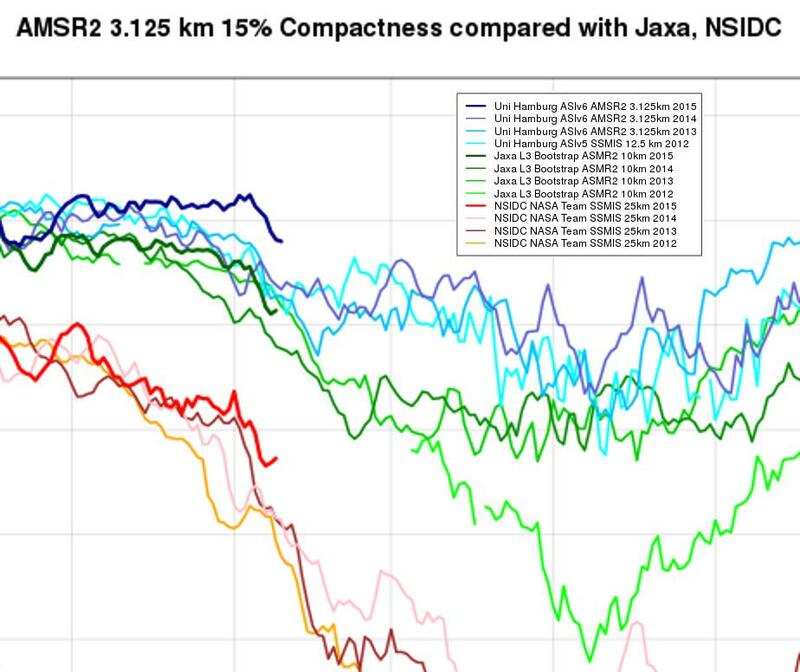 we are not yet into strong el nino conditions. I don’t think you’re up to five cherries–more like two cherries and three pits. The ‘long-time lowest ever’ metrics are more convincing, but they’re not in your reply to him, so his reply to you is a good zinger at first sight. Again, I’m not denying that he’s a denialomaniac clutching at straws, just saying that his cherrypicked date is not the best place to pick a fight. Of course, if the uninitiated are only a small part of your audience, it doesn’t really matter. So in your view where is “the best place to pick a fight”? Always assuming that is an appropriate metaphor of course! Note that “picking a fight” at “Real Science” means that your words of wisdom end up in “Steve’s” spam bucket. I dunno. 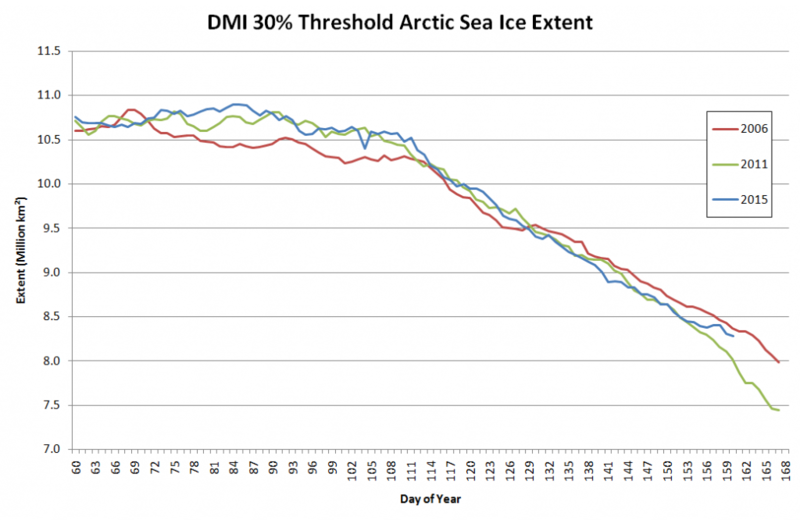 Maybe later in the year when the difference is more obvious, as is the duration of significantly lower ice readings. Is this little fairy tale more like it Treesong? Yes. 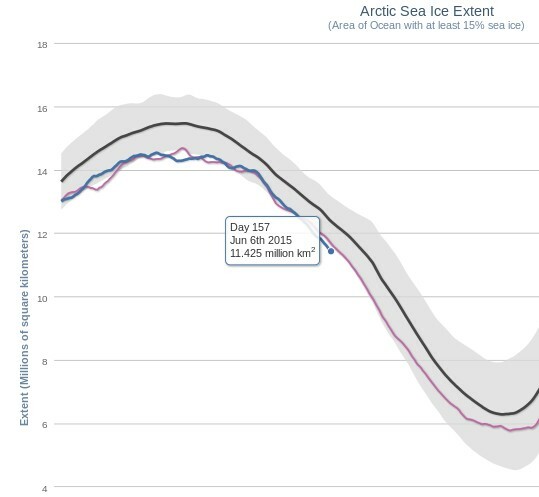 This is obvious even to an Arctic innocent. It’s above freezing ahead of the “normal” schedule.